'Winning For Ireland' is a story designed to inspire every Irish person. Ever since the first recorded meeting in Dublin in 1857, athletics has been central to the narrative of Irish sport and in the process enhanced the country's image abroad more consistently than any other medium. Starting with the story of the Irish sporting diaspora and the achievements of those men who won Olympic gold for Britain, The United States, Canada and South Africa among others, our athletes have enjoyed a reputation as exceptional competitors in one of the most demanding disciplines of all. That in turn played an influential role in protecting the image of the new Ireland following the declaration of independence in 1921 and has been given added credibility with the winning exploits by Irish men and women down the decades since then. 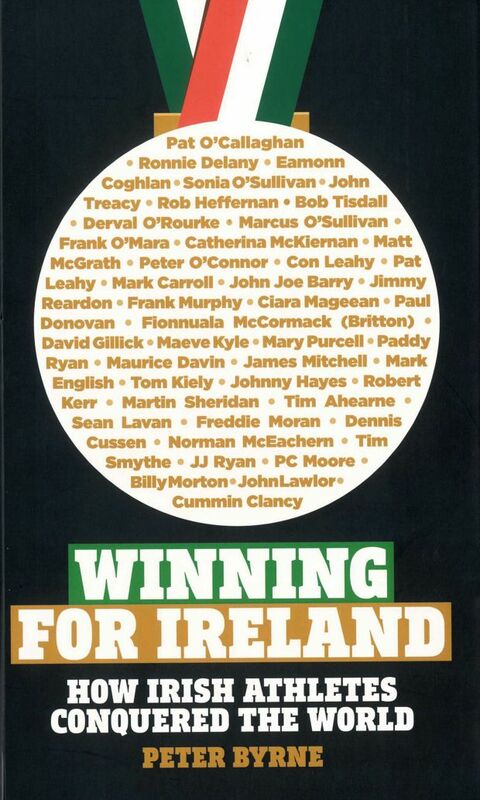 Those contributions are vividly portrayed across the pages of 'Winning For Ireland'. Peter Byrne has been involved in athletics and athletics journalism for more than 50 years. He started his writing career with the now-defunct Evening Mail in 1954 and recalls Herb Elliott's Miracle Mile at Santry in 1958 as one of the highlights of his early years with Dublin's oldest evening newspaper. He Joined the Irish Times in 1960 and three years later wrote a series of articles on the history of the various athletics disputes in this country which were later published in book form. These formed the basis for renewed talks between the AAUE and the NACA, negotiations which led to a partial settlement and the foundation of Bord Lúthchleas na hÉireann (BLE) four years later. In his 40 years as Irish Times correspondent, he got to know many of the old athletes and officials who have moulded the history of athletics at national and international level, gave him a unique insight into our oldest and most successful sports and discipline. In analysing the pedigree and performance of our outstanding athletes down through the years, Peter Byrne believes that with adequate funding, athletics will continue to offer one of the more obvious platforms for projecting the image of a successful, vibrant nation in the early years of the new millennium. Delivery cost is €5 for orders within the Republic of Ireland. International shipping may vary. Please email marketing@athleticsireland.ie for any international delivery queries before you order as we may not be able to delivery to you. Your E-Shop order will be delived by post to the shipping address you provided. Your order will be processed and dispatched within five working days. Please give 2-3 working days for delivery within the Republic of Ireland.